And finally, we come to this. With the other three courses of the meal focused on offal, the natural place in the meal for this special ingredient was dessert. And personally, I can hardly think of a more indulgent and pleasing way to showcase the ethereal flavor of citrus zest than to infuse it into a gently quivering, cool panna cotta. Okay… I admit it. I may have faked the “smoked” part a bit. Now, now, now, don’t get me wrong. It’s not like I used liquid smoke or anything; it’s all real all the time up in here. But I may have fudged the adjectives in the recipe title. 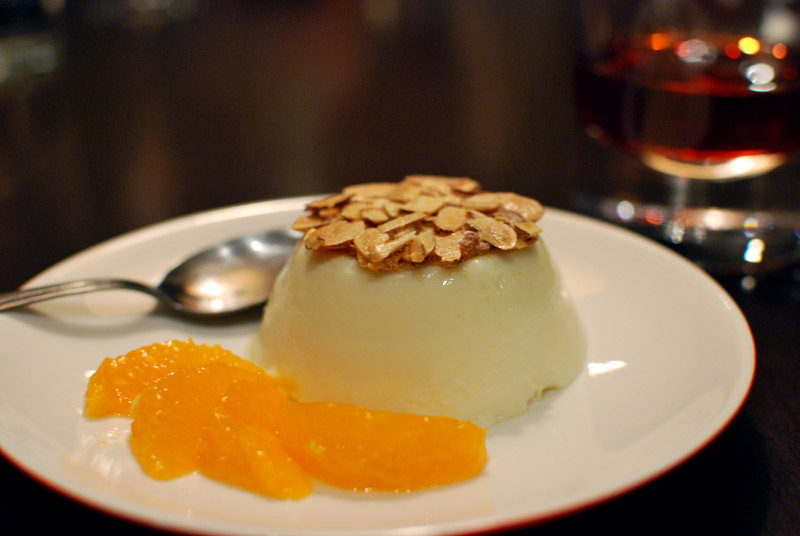 It’s not so much “Smoked Tangerine Panna Cotta” as “Smoked Panna Cotta with Tangerine”. There, I’ve confessed it. And may RuBo have mercy on my poor soul. My logic was simple: when trying for something called “Smoked Tangerine Panna Cotta”, why not infuse the main ingredient with smoke, rather than something (the tangerine zest) that comprises only a tiny percentage of the dish? Besides, everyone knows that tangerine zest is best smoked in a pipe. To do otherwise is to waste it. That thinking paid off in the end, and I was rewarded with a custard that was thoroughly – but very subtly – saturated with a shadowy hint of smoke, as well as a vibrant citrus note. 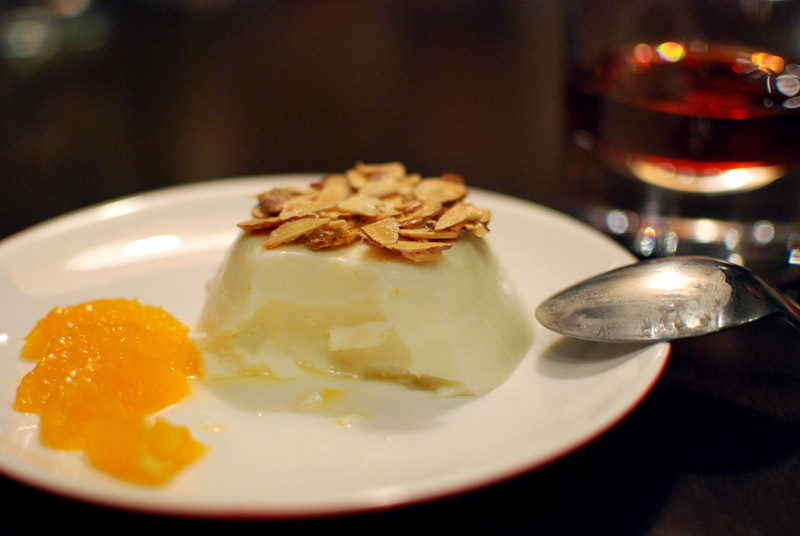 The panna cotta was served with suprêmes cut from the zested tangerines, and was crowned with a simple almond florentine (recipe found here, sans chocolat) for a seductive crunch. For a drink pairing, I whipped up a well-balanced drink called a New Pal (recipe found here). Its flavors of robust rye whiskey, fruity sweet vermouth, and citrus-laced, bitter Campari could not have paired better with the creamy panna cotta. It might look like a whole lotta Campari and sweet vermouth, but it’s actually perfect. (This from a girl who absolutely hates Campari.) If you’ve ever enjoyed a complex cocktail, this is right up your alley. I might describe this as the Thinking Man’s Sazerac, or a Manhattan Gone Wild, but neither is entirely accurate. And so, this Valentine’s Day romance becomes a sweet memory, one for me to fondly recall in my twilight years. Ruthie has left her indelible mark on me, as she does all who cross her path, and I wish I were woman enough to hold her forever. Alas, it is not to be; one cannot tie down the wind. I wish her all the best, and I will always remember that she smelled of powdered sugar and duck confit. I’ve written a range for the amount of gelatine used here. If you want to unmold the panna cotta, you’ll need a firmer consistency, which requires the structure that a greater amount of gelatine provides. If you prefer a softer and more melting texture, and don’t mind eating out of the molding vessel, use the lesser amount. 1. 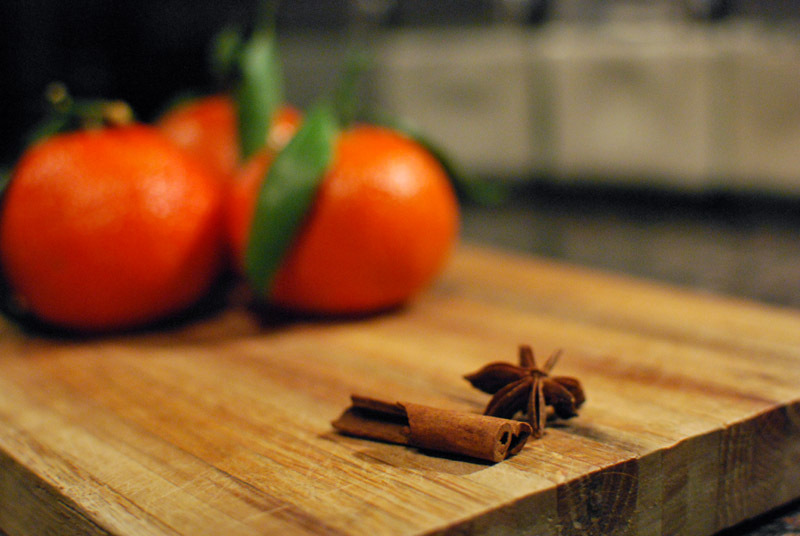 In a medium saucepan, combine the Smoked Half and Half, sugar, tangerine and lemon zest, star anise, cinnamon, and salt. Place over medium heat, and stir to dissolve the sugar. Bring to just under boiling, or the point where bubbles begin to form around the edges and steam rises from the surface. Remove from the heat, cover, and let stand 1 hour. 2. Meanwhile, prepare 6 molding vessels (any sort of small glass, ramekin, or other such container). If unmolding the dessert, lightly coat the inside of the molds with a neutral-flavored oil. If not unmolding, you need not bother. 3. Sprinkle the desired amount of gelatine over the cold water in a medium bowl. Let bloom for 5 to 10 minutes. Meanwhile, reheat the half and half mixture until just barely warm. 4. Strain the warm half and half into the bloomed gelatine, discarding the spices and other solids. Whisk to completely dissolve the gelatine. 5. Divide equally among the 6 prepared molds. Let cool to room temperature before covering each mold with plastic wrap. Refrigerate until set, at least 4 hours and up to overnight. 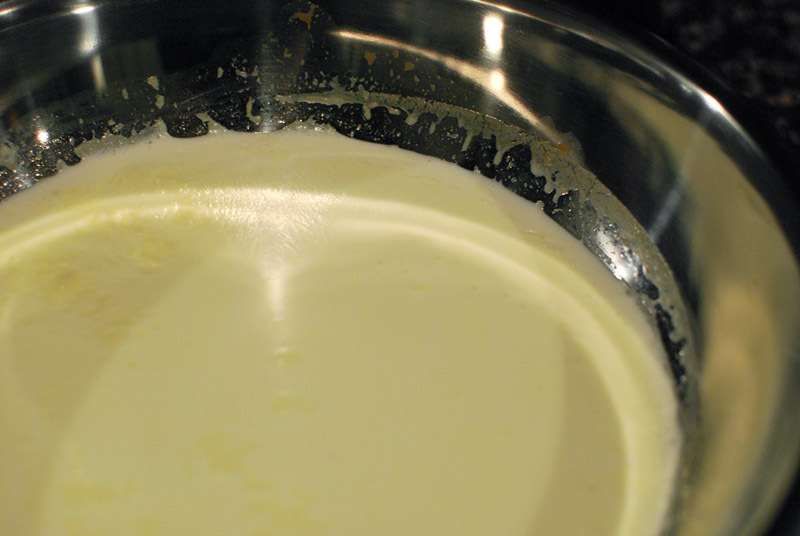 To unmold, run a thin, sharp knife around the edge of the panna cotta before inverting onto a plate. Serve with a garnish of tangerine wedges, if desired. This method will obviously work for any amount of half and half, but smaller amounts will take on a smoky flavor much faster than larger amounts. The amounts and times given left the half and half with a very subtle smoky note, more of a seductive background flavor than any real “smokehouse” punch. 1. 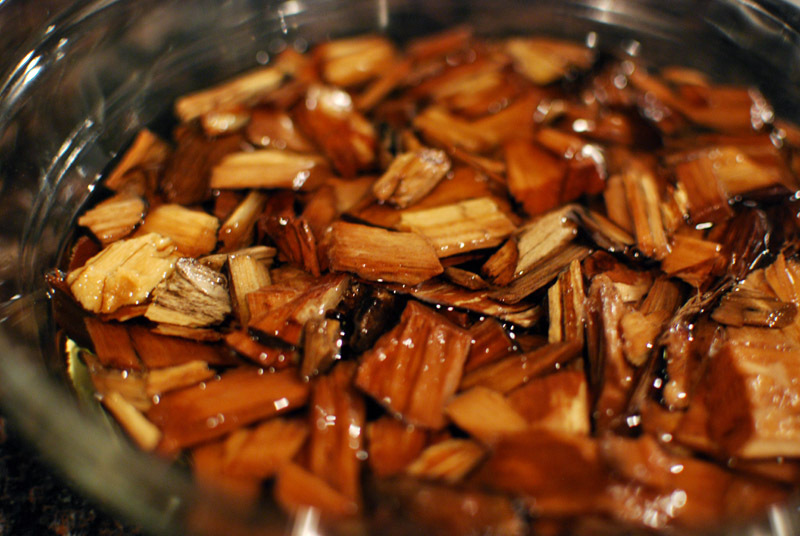 Cover the wood chips with water. Soak for 30 to 60 minutes, then drain. Meanwhile, preheat the oven to 400º F, and position a rack in the lower-middle of the oven. 2. 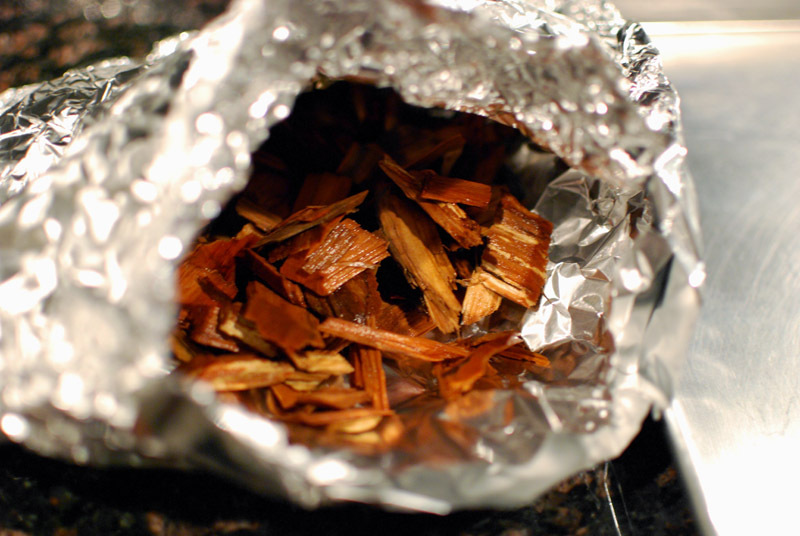 Wrap the soaked and drained wood chips in a pouch made of a double-thickness of aluminum foil. Poke holes liberally in the top of the foil pouch to allow smoke to escape. 3. Pour the half and half into a non-reactive and heat-safe bowl, preferably one that will expose the most surface area of the half and half without being too large. 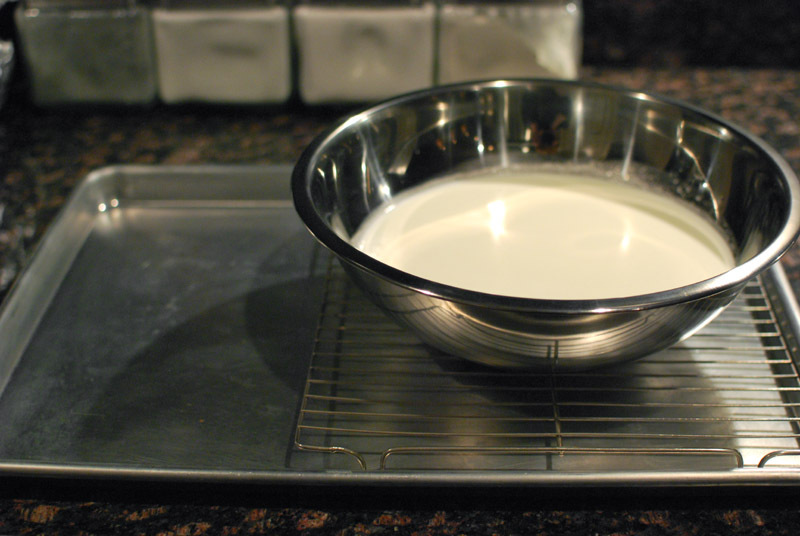 Place the bowl on a rack set in a rimmed sheet tray, as shown (this creates a bit of an air gap between the bowl and the sheet tray that will help keep the half and half from overheating). Create a sheet of aluminum foil large enough to tent the whole contraption loosely. 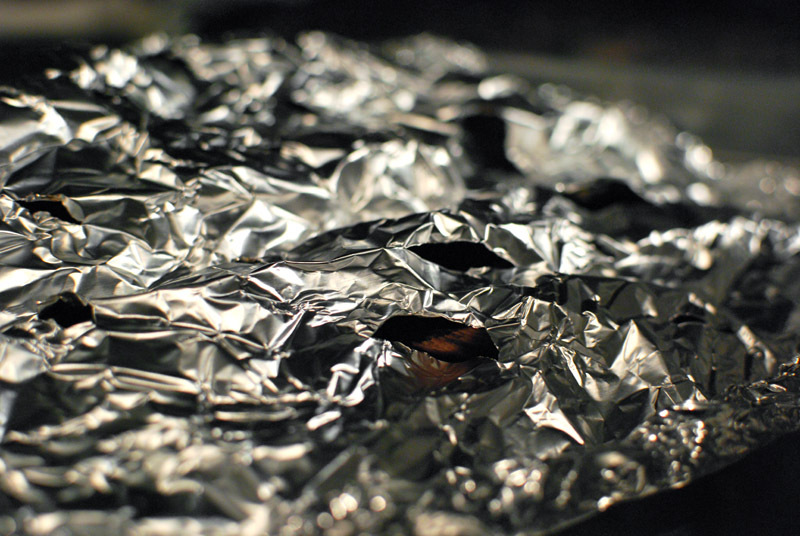 (If your foil is not wide enough, pleat the edges of two long sheets together with a butcher’s fold.) Tent the foil sheet over the bowl and sheet pan, crimping and sealing three of the edges tightly enough to prevent smoke escaping. Leave one corner open wide enough to slide the wood chip packet in, on the side of the sheet tray that is opposite the bowl of milk. 4. Place the wood chip packet over a burner set to high. When smoke beings pouring out of the packet in abundance, lift it with tongs and quickly slide it onto the sheet tray. Quickly and tightly close up the last corner of the foil. 5. Immediately transfer the covered tray to the oven, taking care not to spill the half and half as you move it. Roast for 25 minutes. 6. Remove the tray from the oven. Let cool briefly, 5 to 10 minutes. 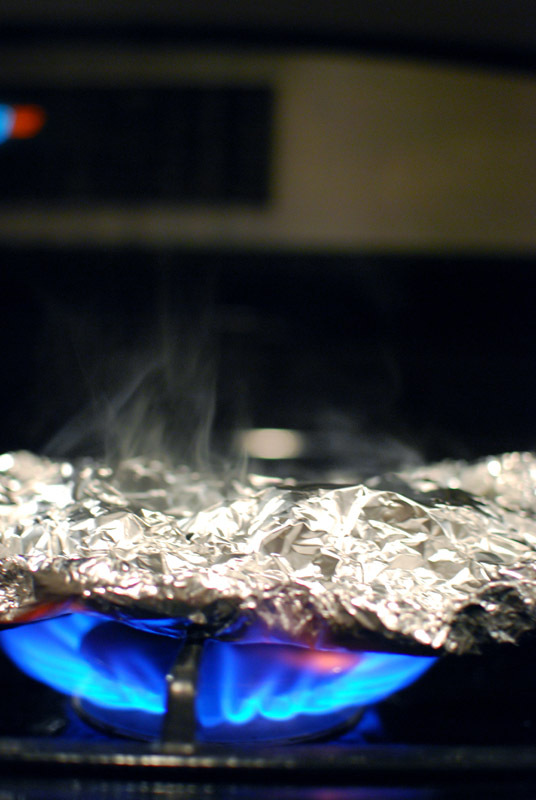 Carefully bring the tray outside before removing the foil tent (unless you enjoy a very, very smoky house). Either use the half and half immediately, or let cool to room temperature before storing in the refrigerator.